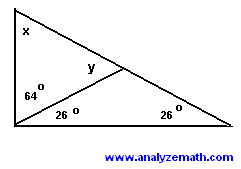 Detailed solutions and full explanations to grade 8 math questions on angles are presented. 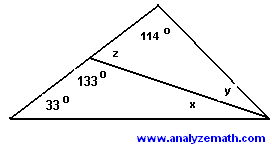 Find the unknown angles in the figures below. Substitute x and y by their values found above. 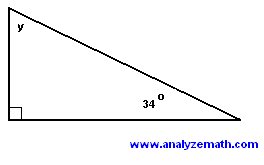 y = 180 - 43 - 58 = 79° , x = 58 found above.